THIS is starting to become my favorite monthly column. A place where I round up my most-enjoyed food picks from the previous month. How un–shocking that I’ve managed to create another space where I can talk about healthy food. Enjoy the picks below and then enter to WIN them all for yourself! NEAT is neat! Triple word score if you knew I was going to say that. I first tried Neat last month and was immediately hooked. Where have you been all my life? 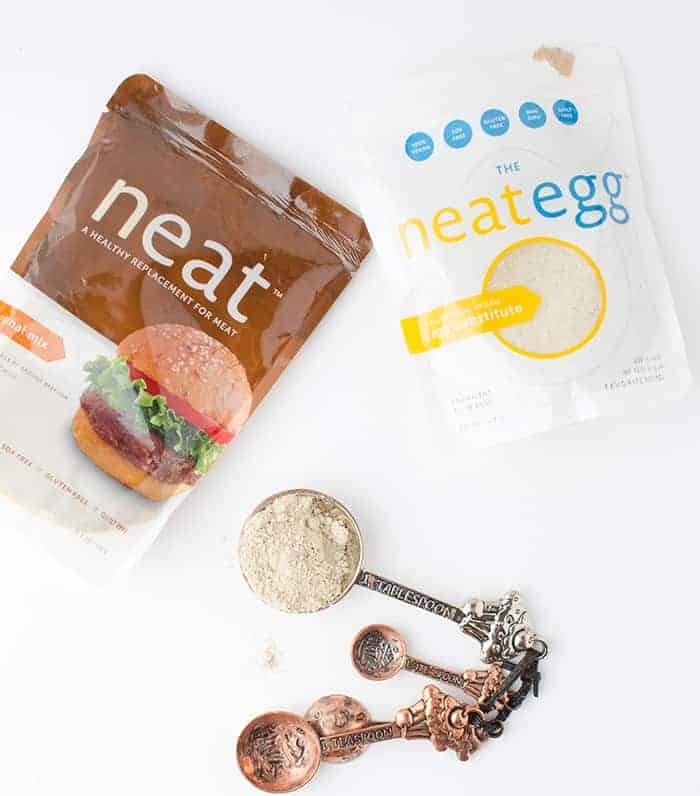 The Neat egg is perfect for those of you looking to go more plant-based or just cut down on your cholesterol/saturated fat intake. I tested the egg replacer in my favorite brownies, and it worked like a charm! Just mix 1 tbsp. of mix with 2 tbsp. of water. Let sit for a moment and proceed to add it into your favorite recipe. If you’re familiar with using chia/flax seed, this egg replacer is very similar except it adds a bit of chickpea flour as well. It’s perfect in dishes where you don’t want the look of chia seeds or the taste of flax seed. In addition to the Neat egg replacer, I picked up the original mix and the Mexican mix because I am always intrigued by vegetarian products. While I can always be counted on to whip up lentil tacos or black bean tacos in no time flat, I love the convenience that these kits offer. Add water, add an egg (or egg replacer as above), stir and cook. Killer tacos & meatless burgers ready in less than 10 minutes. My own diet goal for the month of September has been to eat more oats. I mentioned last week that after doing more research on our gut microbe and fiber —> I have been trying to eat more fiber when possible. Especially soluble fiber, which oats are famous for. Did you know the average American barely meets 1/2 of the recommended fiber intake? Oats help to solve this problem. Since breakfast is too often an afterthought as I begin my day, I figured incorporating oats into a more consistent breakfast would be a good challenge. Thankfully, Bob’s Red Mill has so many oat options for me to rotate between! While I’m no stranger to quick cooking oats or steel cut oats, I recently fell in love with Scottish Oats! If you haven’t had them before, you must try them! Creamy oatmeal that’s ready in no more than 10 minutes. I know you are thinking that almond milk is almond milk but… not true. After hearing everyone rave about Califia Almond Milk on Instagram, I decided to buy a few bottles to see what the fuss was about. I officially get it. I am not worthy. This is really the creamiest almond milk I’ve ever tasted from a carton. Sure, homemade almond milk is bar-none the best, but this is a pretty spectacular second. While it’s a little pricier than my regular almond milk ($4 compared to $2 at TJ’s), when I am in the mood for a glass of “milk”, this is all I want. 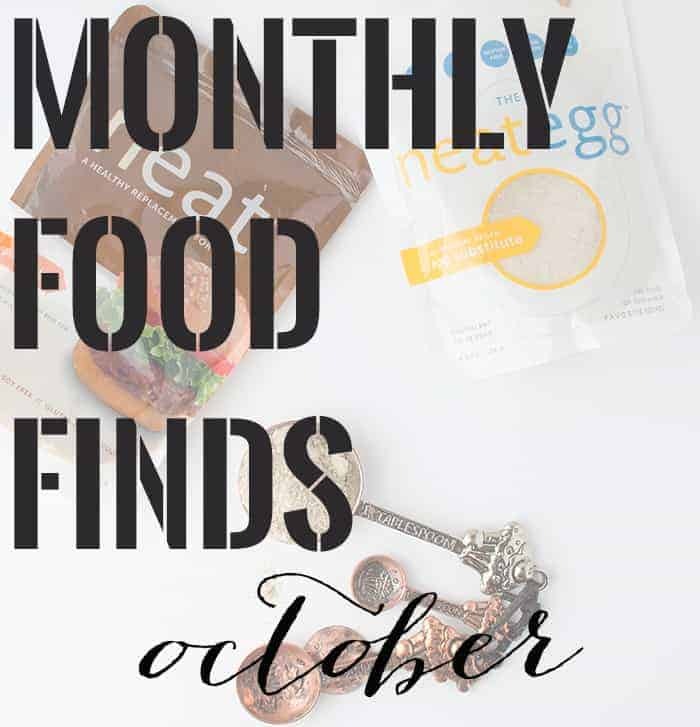 Since my mother always taught me that sharing is caring (see mom, I was listening), I want to share my monthly food finds with you! 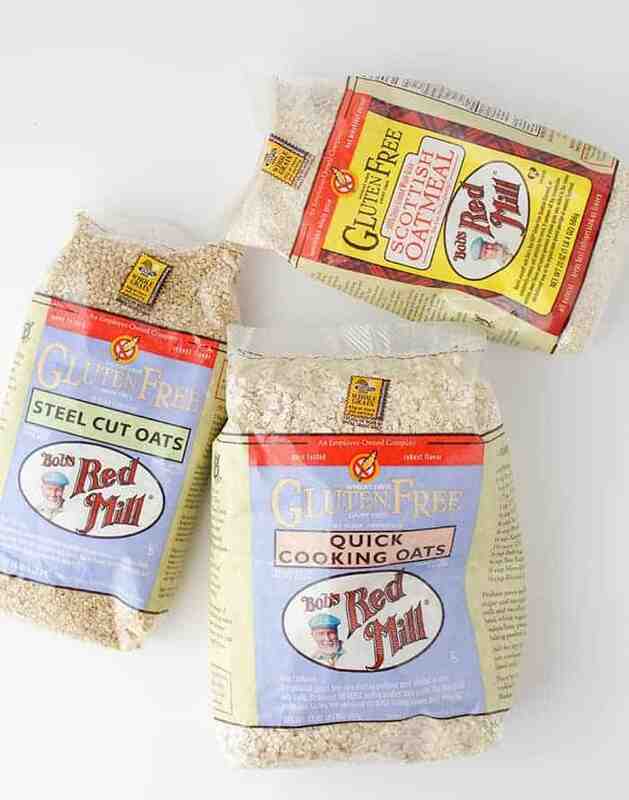 One reader will get everything you see here: 3 packages of Neat (Egg Replacer & your choice of two mixes), 3 bags of Bob’s Red Mill Oatmeal Products (Steel Cut Oats, Scottish Oats & Quick Cooking Oats) and a bottle of Califia Farms Almond Milk! To enter, leave me a comment below letting me know YOUR favorite food finds! Cookbook, gadget, food, I wanna know! I jumped for joy when I found our Bob’s made GF Scottish oatmeal! I have yet to find it though! My newest favorite food find is Good Karma Unsweetened Flax Milk! It is sooooooooo good! Oh! I’ll have to try that one- sounds delicious! I LOVE that flax milk too! Lately I’ve been obsessed with Hemp Hearts and coconut butter. The hemp I add a sprinkle to just about everything and the coconut butter I eat straight from the far or with some raw oats and chocolate chips (weird but yummy and crunchy). I love hemp hearts! i need to try coconut butter- what brand do you prefer? I have tried Neat before and loved it! My favorite recent food find is Pumpkin O’s cereal at Trader Joe’s! Thanks for the tip! I’m glad you like Neat as much as I do! I love Dorset Farms Muesli. It’s Prince Charles company. A little pricey, but very yummy. OH! I have been really into Muesli lately and will want to try this one- where do you get it? Online? I’ve been loving oats for breakfast lately – happy to hear they are so beneficial too! My current favorite find is the Dark Chocolate Lover’s bar from TJs. I snapped one up in the checkout aisle a few weeks ago and now I’m hooked! Perfect for an after dinner treat. I have had that bar before and it’s amazing!!! I cannot live without chocolate- just a little sweet after meals (yes, more than dinner for me) is essential! I try really hard to break myself of the habit but it’s so hard! I love the Califia almond milk! I never would’ve thought there would be such a difference between brands. My favorite new find is tj’s kale chips seasoned with tahini and cashew butter. They are perfect for giving me the satisfaction of crunching on a chip with much more nutritional value. Also, they’re half the price of kale chips at my local market. The difference is amazing! My husband swore it was homemade almond milk when I made him try it! I need to find those kale chips! I am a TJ’s fiend- how have I not seen these yet? Can’t wait to try them! You are too sweet! I have heard of cherry juice for runs and I need to try it myself- thanks for the reminder! 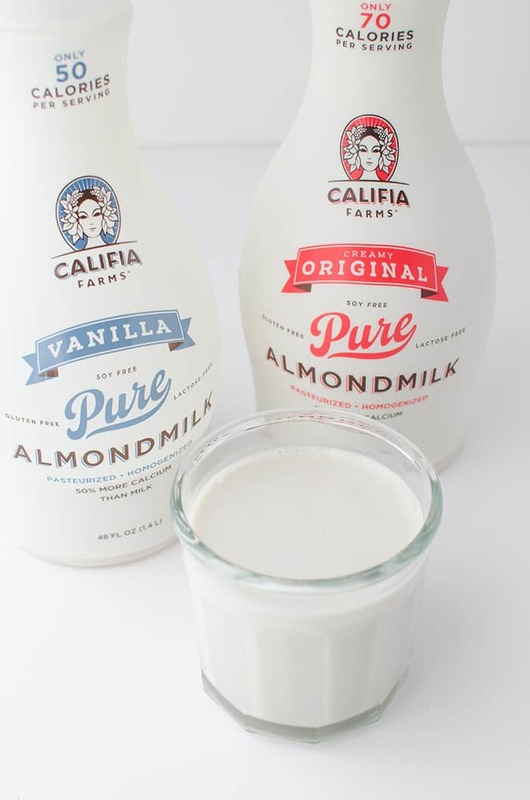 Fav new find > Califia Farms Almond Milk! I found a fabulous recipe for granola on Orangette’s blog. Now have it every day. I just had my first taste of SoDelicious Cashew Milk — yummers — it’s my new go-to milk! Nicholas (age 16 months) is in love with the lentils, but his fave is firm tofu with bbq sauce! YUM! That meal sounds amazing!!! I love that Nicholas loves lentils and tofu! Puts a huge smile on my face! I can’t wait to feed Caroline when I get to see her next week!! OH! I am a sucker for anything Indian- will need to scour these ones ASAP! Have you tried the egg replacer yet? It’s amazing! Alex, this is awesome! I love to hear your finds as well as those of your fans! My fav find this month was Alter Eco Dark Velvet chocolate. I’m always searching for something to cure my sweet tooth after dinner and a piece of this does the trick! I’ve never heard of Neat-interesting! It is interesting Deborah! I have quite a few clients who can’t have eggs so I’m excited for products like these on the market! Thanks for the comment! I’m loving Woodstock dark chocolate almonds and Choice organic Earl Grey currently! My two favorite recent food finds for my almost entirely grain free lifestyle.. Corn pasta from Trader Joe’s, made from cornflour.. and unsweetened, unflavored hemp protein for grain free baking, I like Manitoba Harvest brand! I’ve actually just recently started a clean and raw diet due to health issues. I am absolutely in love with Bob’s Red Mill. I use their quinoa for just about anything, their chis seeds on everything as well as the steel cut oats. My home is never without them and i love discovering new items!! I have recently discovered Quest protein bars and protein chips. I need to try Quest bars! Everyone keeps talking about them and I have yet to have one! Frozen wheatgrass shots??? Tell me where?! This almond milk is amazing! I got the coffee version. Tastes great hot and cold. Worth the cost. I need to try the coffee version! I’ve seen it but never tried it! Thanks for the tip! I love seeing what other foodies are eating! I always discover great new treats this way. I’ve seen that almond milk around the web and have had no luck finding it in Canada yet. Must keep searching! OH! I need to try Edamame crackers!! I just discovered Upton’s seitan- the texture and flavor is perfect! YES! That is my favorite seitan brand! Their bacon seitan is incredible! I like buckwheat. I use light buckwheat flour and eat cream of buckwheat for breakfast. Siggi’s! So creamy and I love all the flecks in the vanilla one, delicious! I’ve never had Siggi’s before! I need to try it! Some of my favorite foods are Chobani Yogurt and Peanut Butter & Co. Peanut Butter. Their flavors are amazing! I just bought the Oh She Glows cookbook and oh my gosh. I’ve never been more in love with a book. So many great recipes I can’t wait to try! Me either! It really is amazing!! My mom just picked us up a box of Red River Ceral in Candada it’s a whole grain cereal that has not been available for a couple of years and my entire family loves it. I swear trying new foods and drinks is a major hobby of mine! I’ll try anything. But I mostly try to stick to healthier options. Hmm…recently I tried the Skinnygirl bars? I believe it was a Chocolate Peanut Butter, and it was quite tasty! Also, JIF cereal is addicting. Me too Kaylin! 🙂 I didn’t even know JIF made cereal! I will have to check it out! I found Larabars! They are amazing! Made from only 3 or 4 ingredients! Must try!! They are great! The banana bread one is a favorite of mine! I love the Califia milk! My favorite new find was the Field Roast deli slices – something both me and my 1yr old eat up like crazy! Me too! I am not a fan of most fake deli meats but the Field Roast ones are great! I love the palm peeler!! It makes peeling veggies or fruits SO much better. 🙂 Love the blog!! Thanks Paige! I haven’t heard of the palm peeler before! Need to find this! I love Trader Joe’s! Their creamy tomato soup has become a favorite, as well as their Greek yogurt and almond milk. My favorite gadget lately has been a melon baller which I use to take the core out of apples.